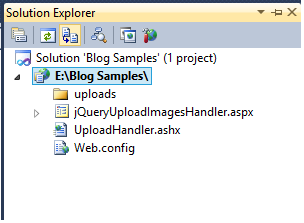 Here I will explain how to upload files using jQuery with generic handler (ashx) in asp.net using c#, vb.net or upload file to server using jQuery in asp.net in c#, vb.net or asynchronous file upload in asp.net using jQuery, c#, vb.net. Thank you, Suresh, for sharing this! Hi, context.Request.Files.Count is always returning Zero.I don't know where i was wrong.